It was a little too nippy to dive into the outdoor pool at Park Hyatt Mallorca, but I couldn't go to the Spanish island and not dip my toes in the water. Luckily the Presidential Suite has its own outdoor heated plunge pool, so I ventured in at golden hour and like a queen, sat warming myself, whilst surveying the hotel's villas and land towards to the sparkling sea. From the road winding up towards the hills, I caught sight of the peach-coloured villas perched between the trees that look out towards the sea. 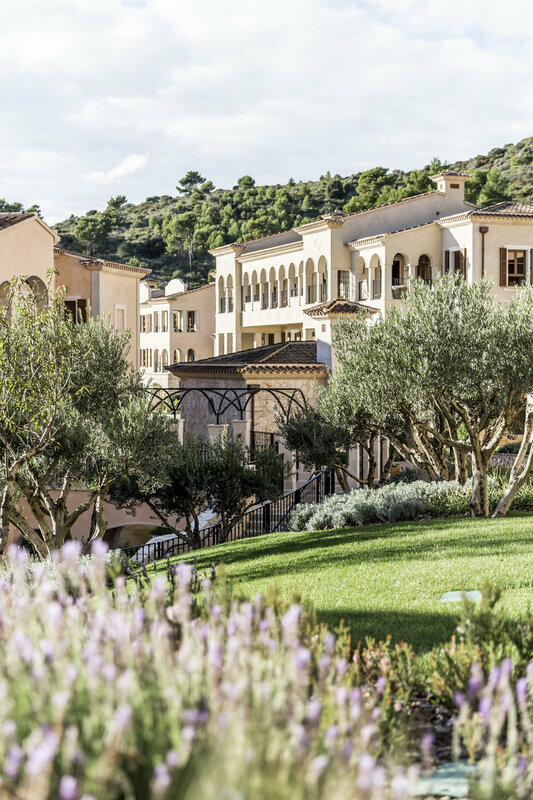 Park Hyatt Mallorca has been built to resemble a village rather than hotel, complete with a Plaza Mayor (main square). With three restaurants and a cafe, including an Asian restaurant and tapas bar, 142 rooms, two outdoor pools and a spa, it's pretty much all you might want or could ever need for a holiday destination. I spent a couple of days there last week soaking up some rays and eating my way through their menu. 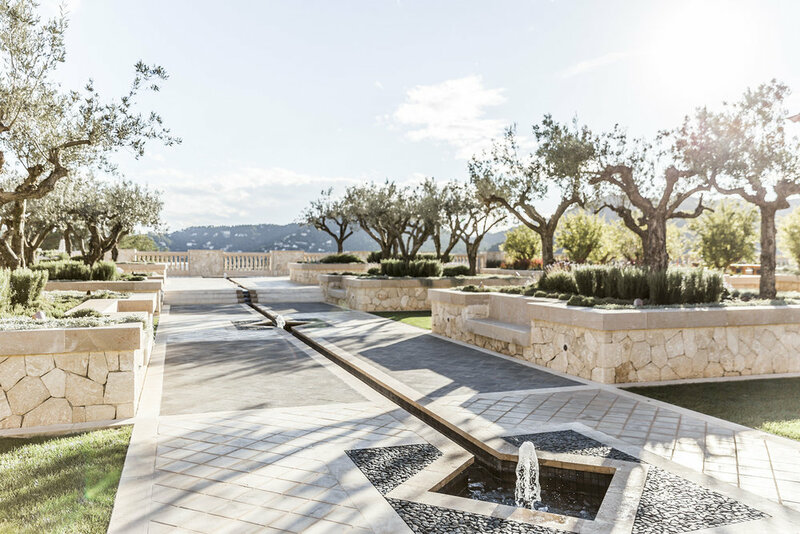 The spa in itself is a reason to put a visit to Park Hyatt Mallorca on next year's wish-list. Beautifully designed, it's an ode to all things calm, amongst striking architecture, interiors and art installations - see second image below. Thanks to Park Hyatt Mallorca for having me.